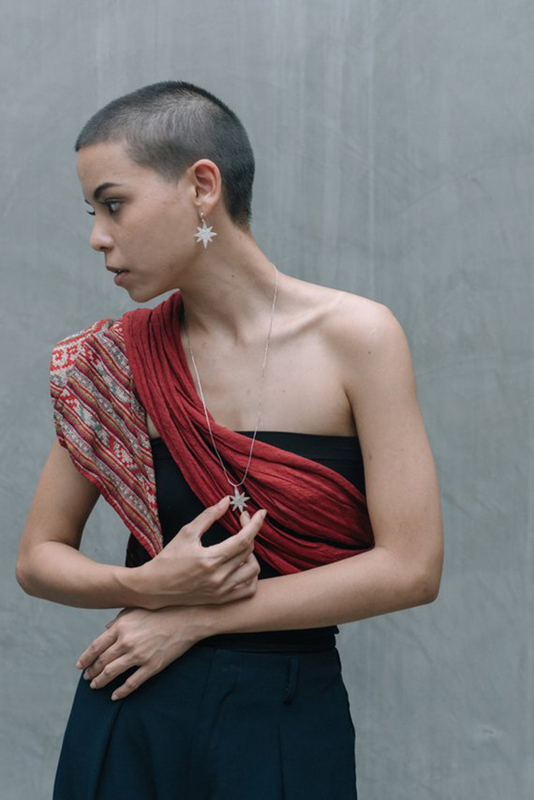 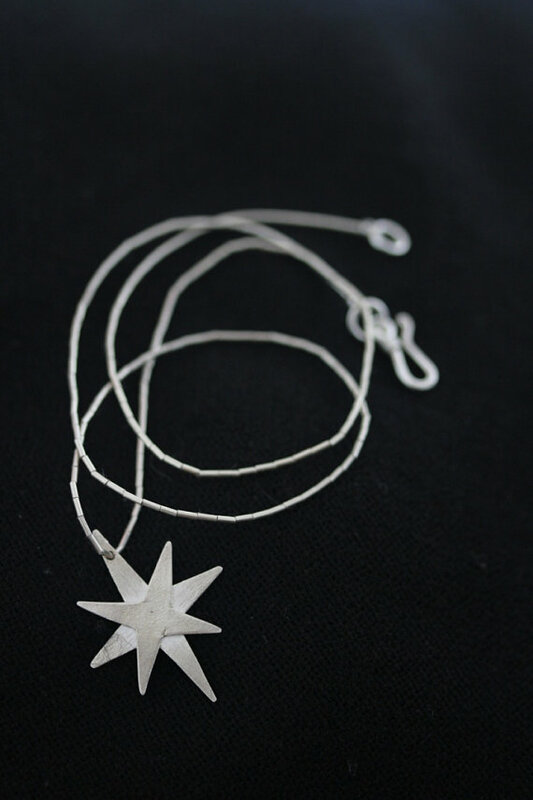 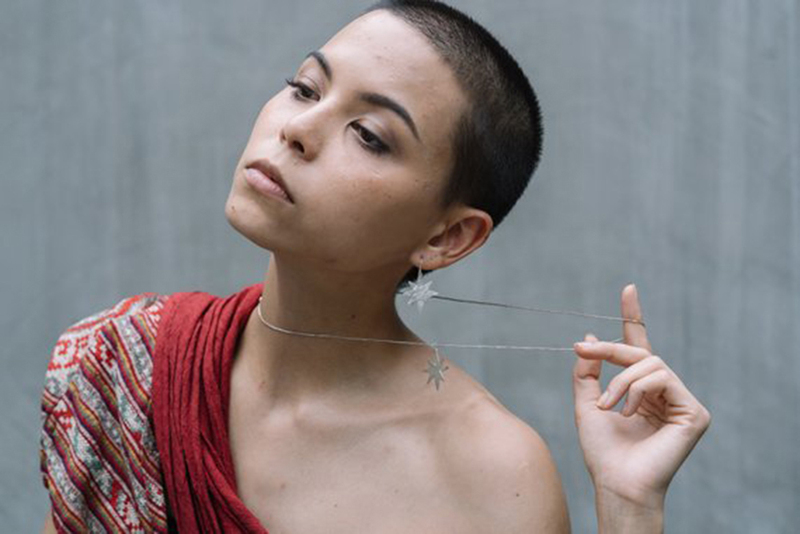 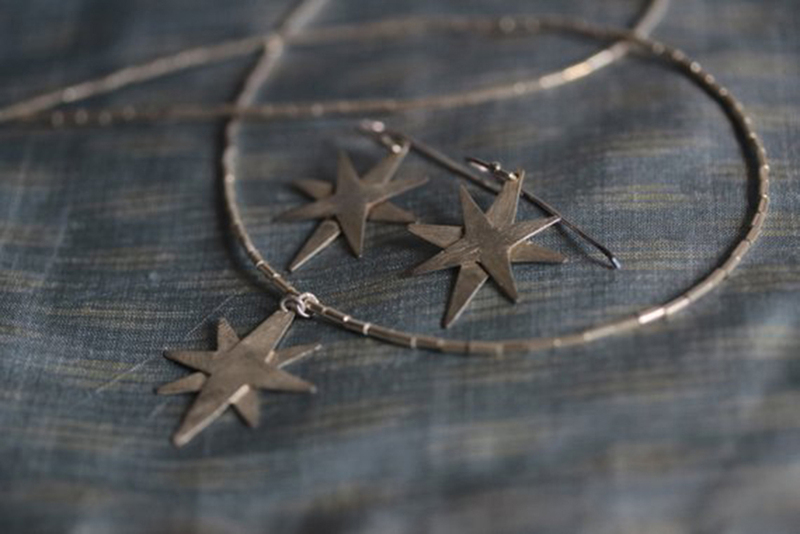 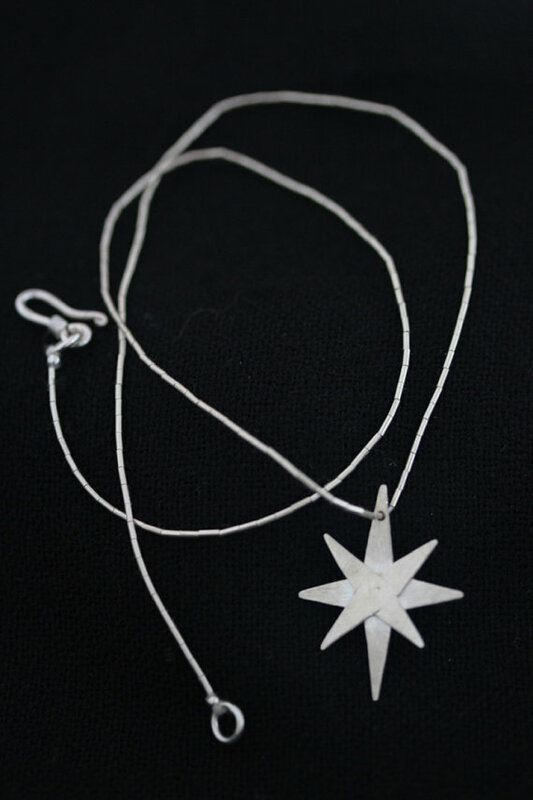 This Christmas star necklace is handmade by Thai artisans in 95-98% Thai Silver. 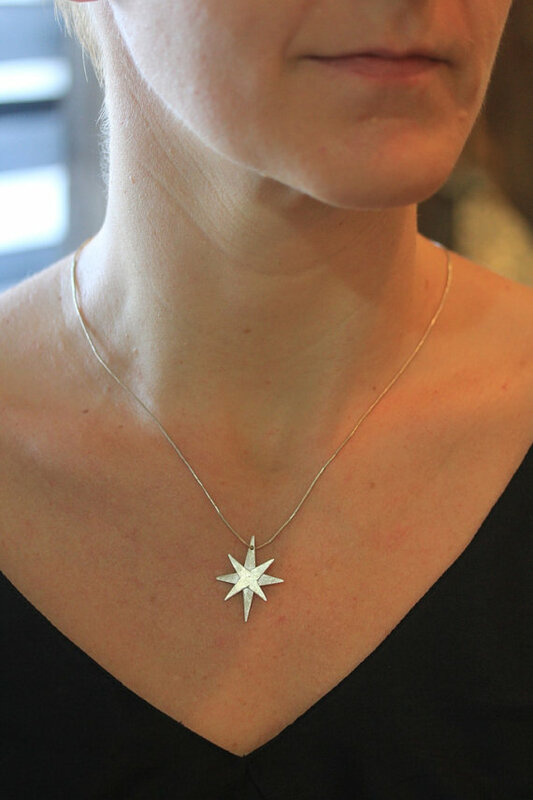 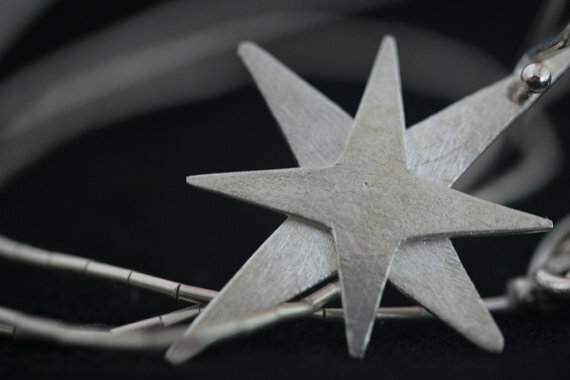 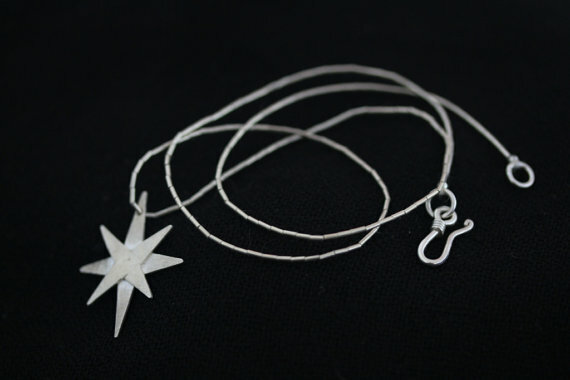 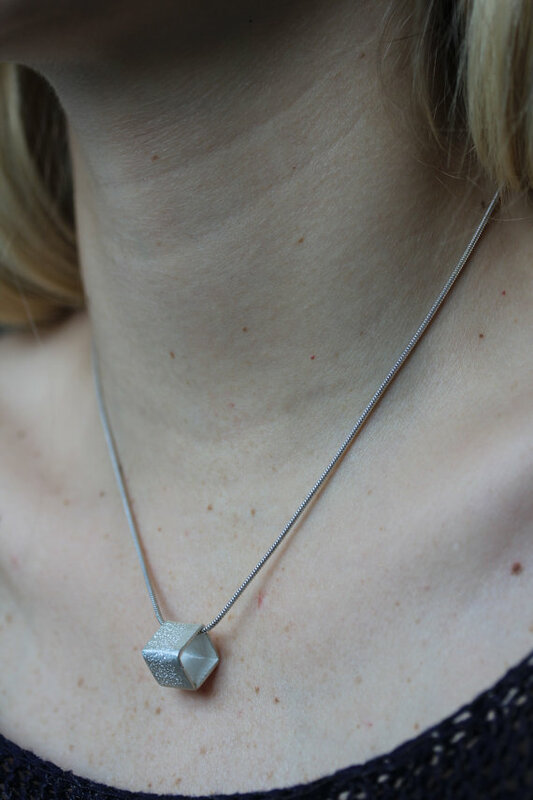 The star shape pendant is cut from a silver leaf and welded one to another. 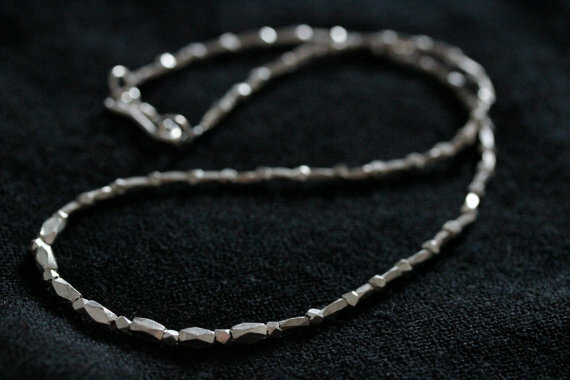 The surface is then treated with the so-called “Cat Fur” technique in order to obtain scratched texture. 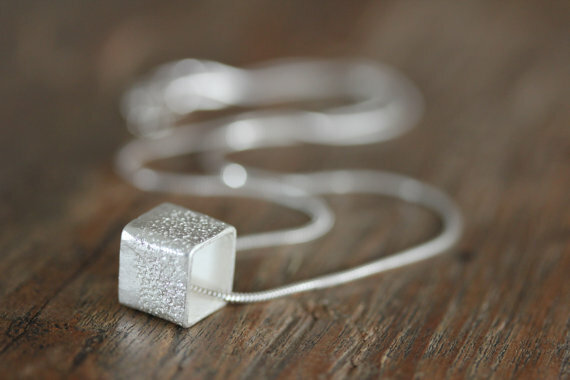 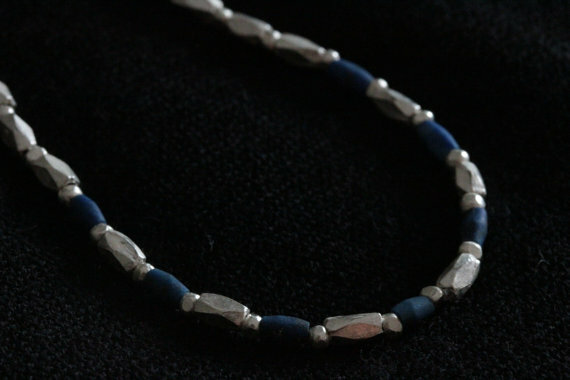 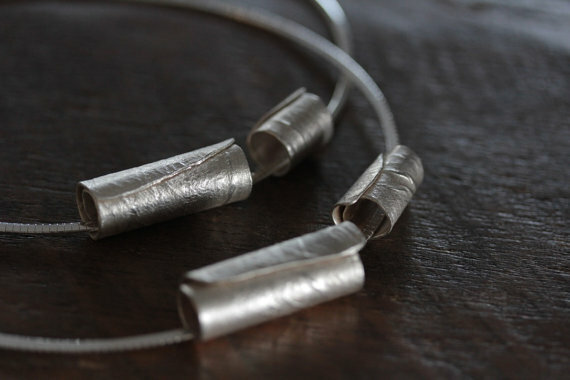 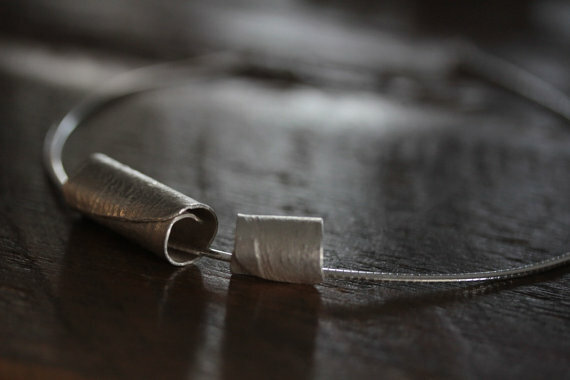 The chain consists of tiny handmade rice-grain-shaped silver beads, and closes with a simple silver hook. 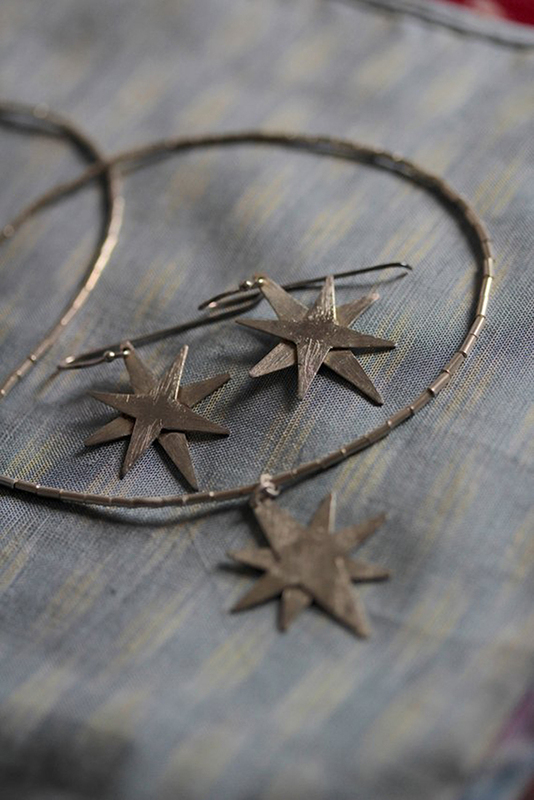 We also have matching star-shape earrings in our shop.